You have 1961 characters. Don’t forget to add important and relevant keywords in your description to improve your iTunes app page and optimize your SEO. Your app's last version was released on January 04, 2014. It is important to regularly update your app. Best practices recommend to update your app every 4 to 6 weeks. This means fixing reported bugs, improving existing features, launching new features etc. Keep an eye on users' feedback. The next great features may already be asked by many users. Now 50% OFF --only through the holiday period. 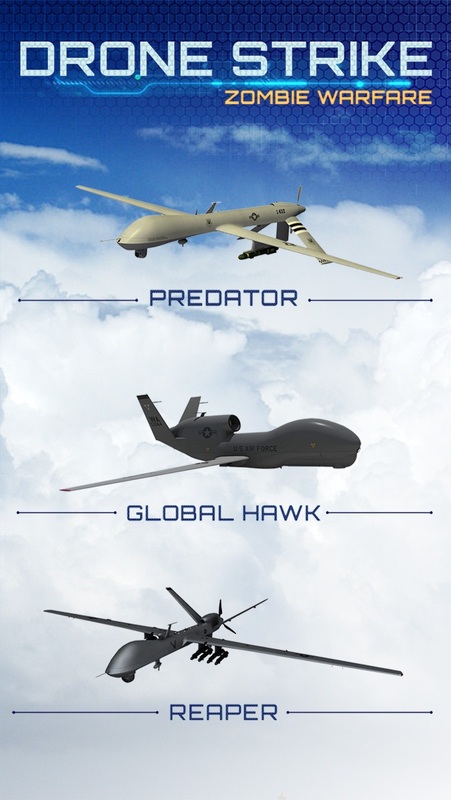 Choose between the latest drones : Predator Drone (MQ-1), Global Hawk, Reaper Drone (MQ-9), X47B Drones, and the AGM-158 Cruise Missile. Zombies have taken control of a large desert area. You have been put in charge of a fleet of the latest drones to take off and control from a remote location. 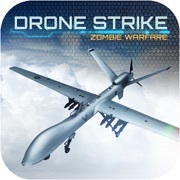 Your mission is to locate, photograph, and destroy the zombie bases and anti air defenses. Takeoff and land the drones safely. This app uses the latest 3D development technology to push the limits of the mobile device. You will have a difficult time finding and app that is both fun to play and realistic. Takeoff with the predator drone and fly around the extra large landscape. It will take you 15 minutes to fly from one edge to the other. 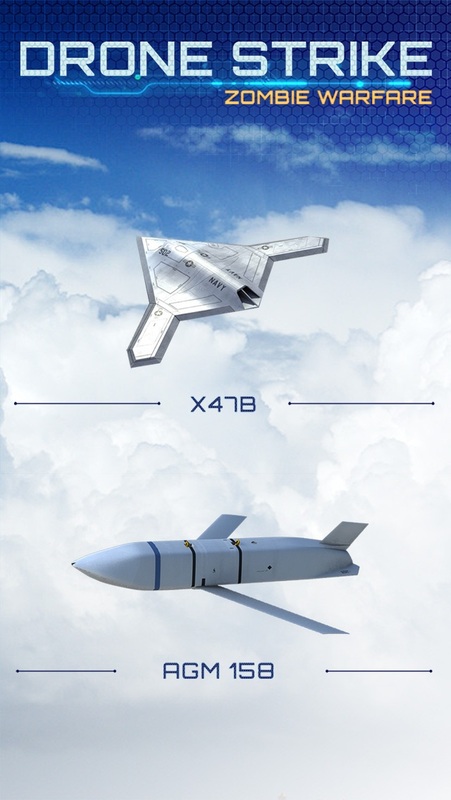 Find all the bases and launch missiles with the Reaper Drone or X47B. Take out the Zombie fortress with the Cruise Missile. The simulator allows you to perform all the aerobatic tricks : Rolls, Flips, Loops, and Inverted Flight. We created the controls with the both the “true to life” simulator fan and casual gamer in mind. 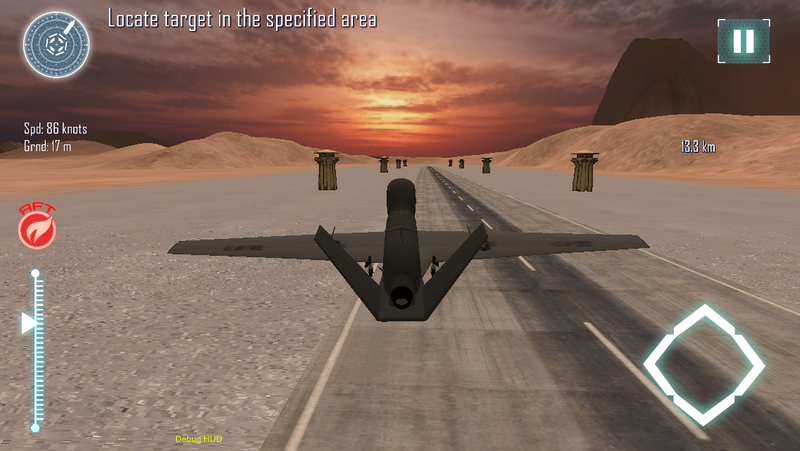 The focus was on game play to create a most fun flight simulator experience possible. There are 9 Missions in total in the career section. Take photos of the Zombie bases. Fly directly through the tornado. Realistic missile launch effects. Realistic takeoff and landing controls. There is also a Free flight section to test fly each drone and test all of the features. Important : This game does not have an Autopilot feature. When you play, you must be sure and fly the drone the entire mission. 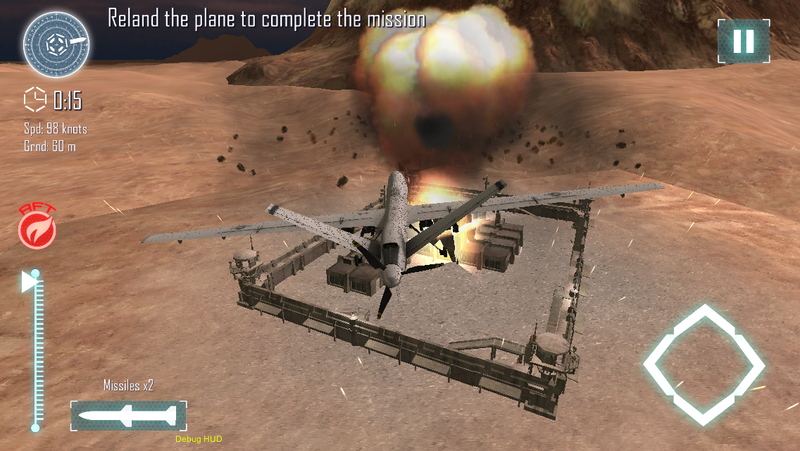 The controls have been adjusted to keep the effects realistic to the game theme. Landing is very difficult - if you complete a successful landing, you are a champion. Note: We pushed the limits of the current mobile devices when creating this app. It works best on the latest quad core mobile devices. Give it a try! Good luck.